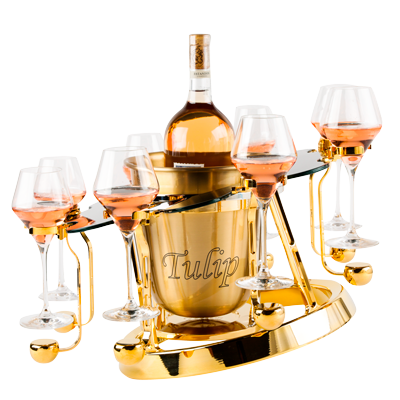 Tulip By Germain will nurture your most precious libations, and display them with style and sophistication. 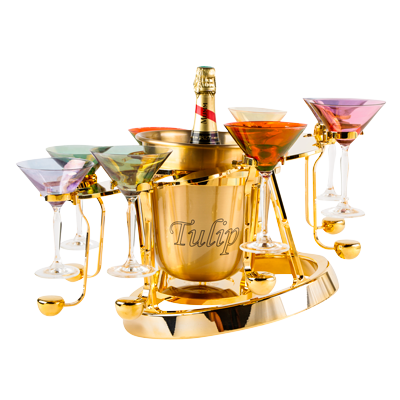 Each cooler tray is integrated with a patented hi-tech mechanism to withstand up to 30° tilt angle. 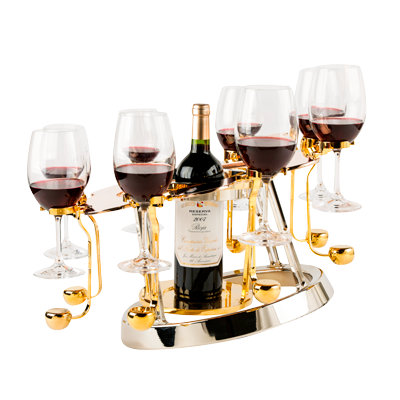 The eight glass holders are designed to welcome any possible type of champagne flute or wine glass. Harmoniously combining art and technology, Tulip By Germain brightens each and every party aboard your yacht, and livens up in an exclusive way the trips on board your private jet. 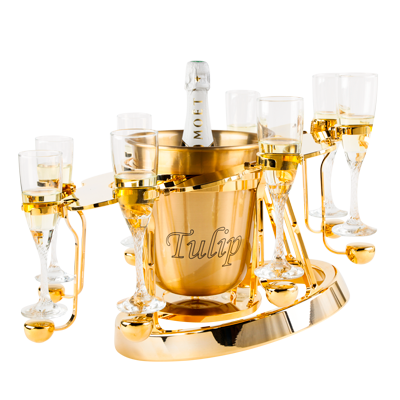 The jewel case to host your best champagnes and ultimate wines : from a simple Magnum to a prestigious Réhoboam, the bottles hosted by Tulip By Germain shall enhance even more each reception table with style and elegance. Customize Tulip By Germain according to your taste. Choose from a range of luxury finishing touches including carbon fiber as well as white, yellow and pink gold. Diamonds, sapphires, emeralds and rubies, as well as pearls and organic materials such as coral, mother-of-pearl or tortoise shell, can then be selected and added to enhance Tulip By Germain in your own unique way.